Sultan Abdulhamid II, who ruled the Ottoman Empire for more than 30 years, earned a reputation both as an oppressive leader and a champion of Turkish industry, education and culture. Abdülhamid II (or Abdul-Hamid II) was born in Constantinople, now Istanbul, on Sept. 21, 1842, the son of Sultan Abdulmecid I, who ruled from 1839 to 1861. Abdülhamid, who lost his mother at a young age, was educated in many topics, including politics, Muslim mysticism and how to play the piano. He was also reportedly quite athletic. After he married, Abdülhamid devoted his time to his family, which would eventually include eight wives and 16 children. At age 33, he succeeded his brother Murad V, who was considered to be mentally unstable. In 1876, the year he took power, Abdülhamid issued the Ottoman Empire’s first constitution under the guidance of the grand vizier Midhat Pasha, who had helped to reform the government and oust Murad V. But shortly thereafter, Abdülhamid removed Midhat Pasha from his position and exiled him. Abdülhamid ruled as an autocrat, but he spearheaded lasting achievements for Turkey’s education system, creating schools and institutions that are still in existence today. According to the Encyclopedia Britannica,“18 professional schools were established; Darülfünun, later known as the University of Istanbul, was founded in 1900, and a network of secondary, primary, and military schools was extended throughout the empire. In addition, the Ministry of Justice was reorganized, and railway and telegraph systems were developed.” According to the historical site The Ottomans, Abdülhamid “lived the life of a common person,” spending his own money to fund a military campaign in Greece, as well as the construction of a hospital and poorhouse. Abdülhamid II was the first Ottoman sultan to have title deeds to his own property. 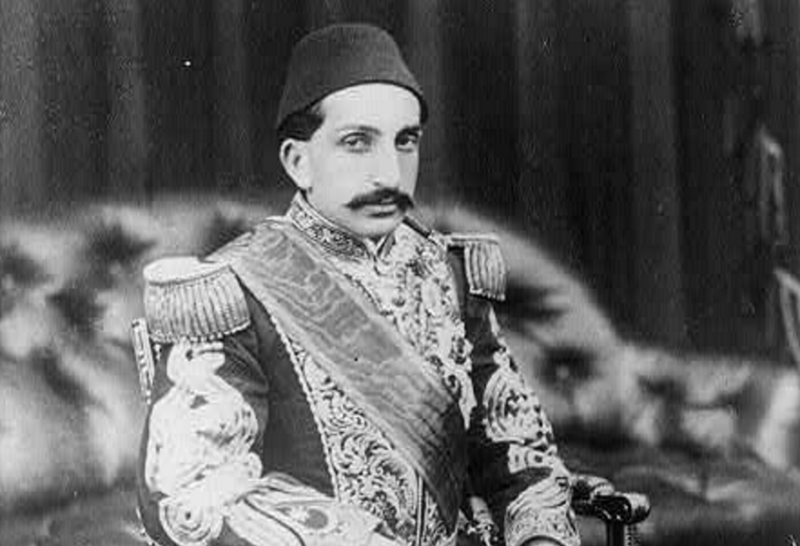 He owned property in Mosul, Kirkuk, Palestine, Eastern Anatolia, Cukurova, Balıkesir and Balkans, “some of which went by the name of ‘imperial farms.’” There were allegedly many title deeds under the sultan’s name, and these were said to be the sultan’s attempts to retain control of land in a shrinking Ottoman Empire. Abdülhamid II has justifiably not been treated kindly by the history books, as efforts to reassert his empire’s preeminence were undermined by oppressive treatment of ethnic groups such as the Christian Armenians. Encouraging Muslim Kurds to inhabit Armenian areas, and encouraging violence toward the Armenians, whom he believed to be rebelling against him, Abdülhamid oversaw the deaths of about 200,000 Armenians over two years. As the Constitutional Rights Foundation explains, “Apparently, the sultan’s purpose was not to exterminate the Christian Armenian minority, but to permanently end its demands for equal rights. Even so, many historians have noted that the massacres of 1894–96 provided a precedent for the genocide that took place 20 years later” during World War I. Following the invasion of the palace, Abdülhamid II was exiled to Salonika, Greece, where he died nine years later. His brother Mehmed V succeeded him to the throne. The New York Times: Sultan Beaten. Capital Falls. 6,000 Slain. This article was originally written by Liz Colville; it was updated on July 7, 2017.